Matsumoto Castle (松本城 Matsumoto-jō) is Japan’s oldest castle. It also known as the “Crow Castle” (烏城 Karasu-jo) because of its black exterior. Matsumoto Castle is the oldest existing castle in Japan and one of Japan’s premier historic castles. 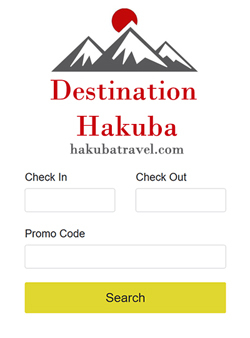 Need a hotel near Matsumoto castle? With 400 years of history, Matsumoto Castle is a National Treasure that every Japan visitor should see. Formerly called Fukashi Castle, it was a branch castle of the Ogasawara family during the long period of the warring states. It is located in the city of Matsumoto, in Nagano Prefecture and is within easy reach of Tokyo, Nagano and Hakuba by road or rail (see getting to Matsumoto below). Matsumoto Castle is a flatland castle (hirajiro) because it is not built on a hilltop or amid rivers, but on a plain. Its complete defences would have included an extensive system of inter-connecting walls, moats and gatehouses. The most interesting part of the castle is the main donjon/keep (tenshukaku) completed in the late 16th century, and which maintains its original wooden interiors and external stonework. 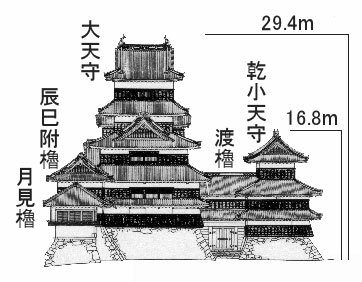 To enter you first pass through a separate minor keep called Inui Kotenshu (because it stands inui or northwest of the main tower) that from the outside appears to have three stories but actually has four, the hidden floor concealing defences. This minor keep is structurally independent of the main tower but is connected via a roofed passage. Look closely at the round wooden pillars, these were rough hewn by a hand tool shaped like an axe (the entire castle being made by impressed labour) from hemlock, spruce, and fir trees. There are 10 round pillars supporting the 1st and 2nd floors, 12 pillars support the upper floors. The second floor of the main keep features a gun museum, Teppo Gura, with a collection of guns, armor and other weapons. All of the guns, armor and other weapons you will see here were the personal collection of Akahane Michishige, a local citizen, who built the collection with his wife Kayoko over a period of more than 30 years. The collection was donated to the city in 1991. 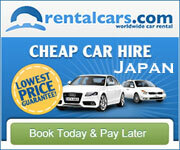 Get the best accommodation deals for Matsumoto Castle here! Matsumoto castle is located only a fifteen minute walk north of Matsumoto station (see getting to Matsumoto below). Alternatively, the Town Sneaker Bus departs from in front of Matsumoto Station every 30 minutes and makes a circular trip to all city sights. It costs ¥190 each time you get off. Free bicycles are available daily 8:30am to 5pm at various locations throughout town, including the Matsumoto City Museum next to Matsumoto Castle. Regular admission to the castle is ¥610 for adults, ¥300 for children with discount available for large groups. The castle is open 8:30 AM to 4:30 PM daily (closed 29 Dec – 3 Jan). Tickets include admission to the city museum with artifacts documenting the history of Matsumoto. If wanting a guided tour of the castle please fill in the form here. For an outline to do your own tour please check this page. Matsumoto castle’s origins go back to the Sengoku period. At that time Shimadachi Sadanaga of the Ogasawara clan built a fort on this site in 1504 which was originally called Fukashi Castle. In 1550 it came under the rule of the Takeda clan and then Tokugawa Ieyasu. At the time there was already a marketplace on the east side of the secondary citadel, but the area to the west consisted entirely of swampland. Full scale construction of the structure we can now see began in the 1580’s, only Inuyama Castle is older. The Ishikawa family became the daimyo of the area serving Toyotomi Hideyoshi, and it was the Ishikawa’s who promoted and carried out the development of the castle town. The main donjon that dominates the castle was constructed between 1593 and 1594 by Lord Yasunaga, the second daimyo provided by the Ishikawa family. Ishikawa Norimasa and his son Yasunaga built the tower and other parts of the castle, including the three towers: the keep and the small tower in the northwest, both begun in 1590, and the Watari Tower; the residence; the drum gate; the black gate, the Tsukimi Yagura, the moat, the innermost bailey, the second bailey, the third bailey, and the sub-floors in the castle, much as they are today. They were also instrumental in laying out the castle town and its infrastructure. It is believed much of Matsumoto castle was completed by 1593–94. During the Edo period, the Tokugawa shogunate established the Matsumoto Domain, of which the Matsudaira, Mizuno and others were the daimyo. For the next 280 years until the abolition of the feudal system in the Meiji Restoration, the castle was ruled by the 23 lords of Matsumoto representing six different daimyo families. In this period the stronghold was also known as Crow Castle (烏城 Karasu-jo?) because its black walls and roofs looked like spreading wings.In 1872, following the Meiji Restoration, the site, like many former daimyos’ castles, was sold at auction for redevelopment. However, when news broke that the keep was going to be demolished, an influential figure from Matsumoto, Ichikawa Ryōzō, along with residents from Matsumoto started a campaign to save the building. Their efforts were rewarded when the tower was acquired by the city government. In the late Meiji period the keep started to lean to one side. Old pictures clearly shows how the keep looked like then. It was because of neglect coupled with a structural defect, but a lot of people believed the story of Tada Kasuke’s curse.The castle underwent “the great Meiji renovation” between 1903-1913. In 1952 the keep, Inui-ko-tenshu (small northern tower), Watari-yagura (roofed passage), Tatsumi-tsuke-yagura (southern wing), and Tsukimi-yagura (moon-viewing room) were designated as national treasures. It underwent another renovation “the great Shōwa renovation” in the period 1950-1955. In 1990, the Kuromon-Ninomon (second gate of the Black Gate) and sodebei (side wall) were reconstructed. The square drum gate was reconstructed in 1999. These civic efforts have kept Japan’s oldest castle up to date and very popular with tourists from around the world. Various events take place at Matsumoto Castle over the four seasons. 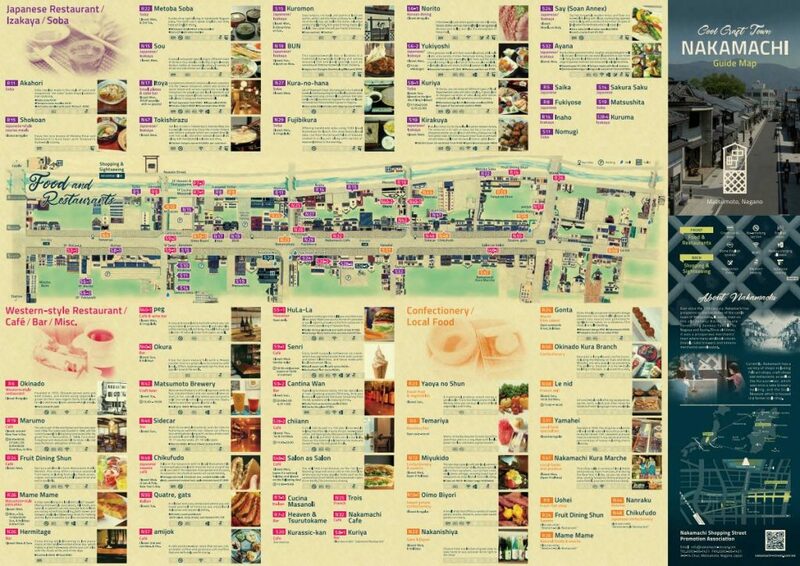 These include ice carving, traditional gunnery exhibitions, cherry blossom viewing, taiko festival and moon feasts. It is common to see many newly married couples having their wedding photos taken in the grounds of the castle, especially during Spring. Matsumoto is located on the JR Shinonoi Line and is easily reached by bus, car or train. It is four stops away from Shiojiri, the “mid-point” of the Chuo Main Line between Tokyo and Nagoya. There is a tourist information center inside the train station. Limited express trains run to Matsumoto from Tokyo’s Shinjuku station. The Super Azusa (スーパーあずさ) makes the run in about 2 1/2 hours. The Azusa (あずさ) makes the journey in about three hours and leave for Matsumoto every hour until 6:00pm. Taking several local JR trains will cost roughly ¥4000, getting you from Shinjuku to Matsumoto in around 5-6 hours, in which case you’re better off using a bus (see below). There’s also the option of taking the Nagano Shinkansen Asama (あさま) from Tokyo to Nagano station, then taking the Wide View Shinano (ワイドビューしなの) limited express to Matsumoto. The Wide View Shinano also runs from Nagoya station, where there are connections with the Shinkansen line (towards Kyoto and Osaka). 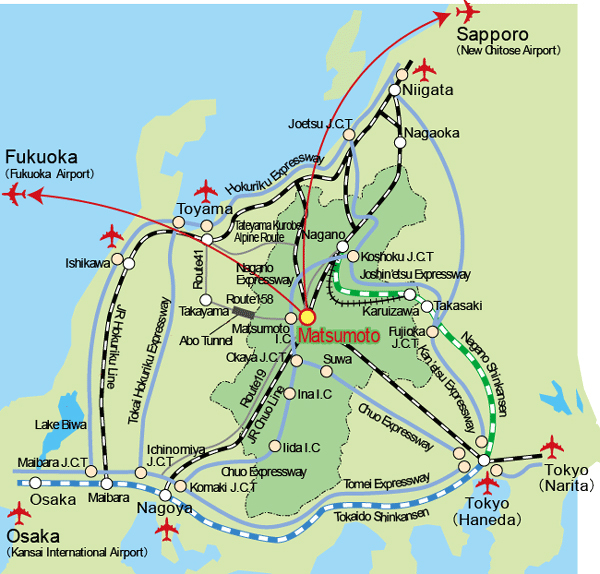 The run from Nagoya to Matsumoto takes 2 hours on the limited express; local trains are cheaper and take between 4 and 5 hours, depending on the available trains and connections. Click here to go to Alpico site for timetable and other information. The easiest way to get to Matsumoto Castle is take the train direct from Hakuba Station. It is 60 kilometres or 1-2 hours by train. 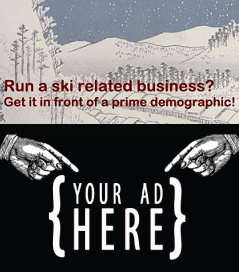 Guided tours run from Hakuba during the winter ski season and cost ¥10,000 for adults and ¥8,000 for adults. This includes a stop at the Daio Wasabi (Horseradish) Farm or Shinshu Winery. 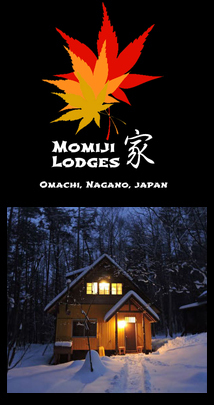 Get the best Matsumoto accommodation deals here! This Matsumoto webcam is currently undergoing maintenance. Matsumoto Castle, Japan’s oldest castle – a National Treasure with 400 years of history. 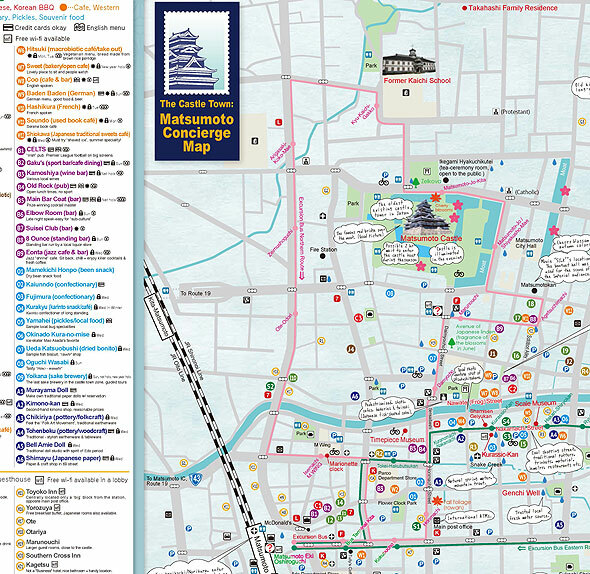 Find Matsumoto Castle accommodation, maps, transport & webcams.